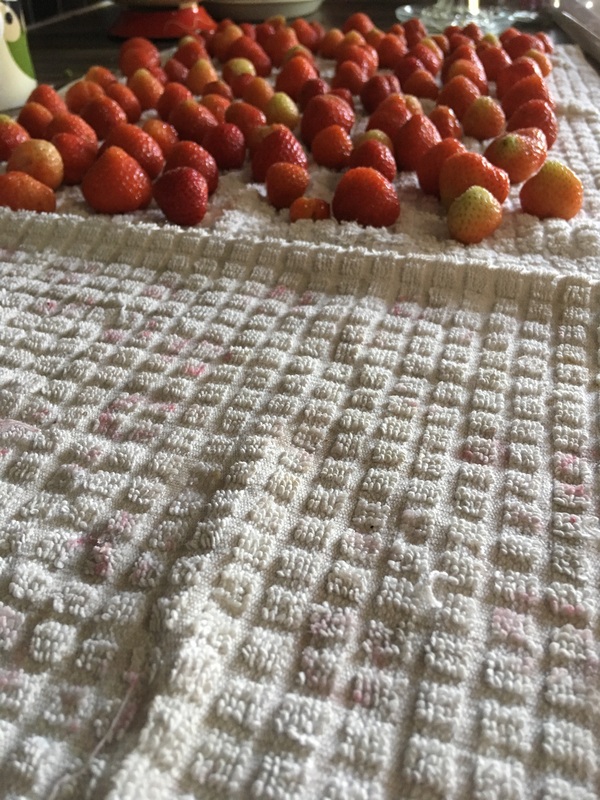 Make sure you only use old tea towels to dry your strawberries. Don’t want to stain those beautiful new ones! !